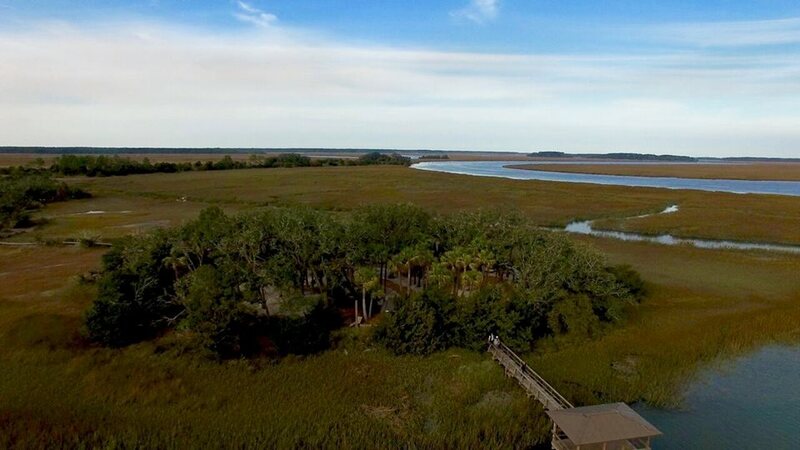 An Outside Palmetto Bluff private adventure is the best way to discover and enjoy the pristine Lowcountry. Our team of expert guides will work with you to design an unbelievable experience. This adventure is held on our comfortable and safe Hurricane deck boats, each of which can accommodate up to 6 people. A Coast Guard Licensed Captain, who is additionally certified in teaching towing sports, leads all of Outside’s Family Ski Days. Cruise from Palmetto Bluff back to our favorite ski grounds and learn how to water-ski, wakeboard, kneeboard, or just go tubing on this 2 1/2 hour private trip for up to 6ppl per boat. No experience needed - we provide instruction for ALL skill levels. Price includes: ski, board and tube equipment, and USCG licensed captain. Our popular "Ultimate Lowcountry Day" is a private, fully customized adventure for groups and families of any size. All programs are led by Coast Guard Licensed Captains, who will provide an experience you and your group will remember for years to come. This is truly... Your Day, Your Way! If you are looking to have a fun time while exploring pristine coastal waterways, look no further than The Ultimate Lowcountry Day! If your group or family wants the full experience of the true Georgia waters, let Outside Savannah craft your ideal journey. Extensive Backwater Boating • Kayaking • Port Tours • Wildlife Refuge Excursion • Private Island Exploration • Dolphin Watching • Stand Up Paddleboarding • Tubing • Castnetting • Fishing & Crabbing • Birding & Nature Tours • Beachcombing & Shell Hunting • Historic Excursions to Daufuskie or Bluffton, day trips to Hilton Head, or Tybee, searching for Native American artifacts, relaxing on remote beaches, and much more. This excursion is the same as the 5 hour day (listed above), only 2 hours longer! In addition, many choose to visit our private island, Page Island, where you can kayak, paddleboard, fish, hike, throw a cast net, do some crabbing, relax in hammocks, dock jump, swim and picnic. Each Ultimate Lowcountry Day adventure includes the boat, Captain, light snacks and refreshments and all of the necessary equipment for the activities your group wants to do. If you would like a meal while on your trip, you can choose to bring what you would like, or have Outside Savannah arrange a meal for you, selected from their menu of fare options. Price: Flat rate of $950 for the first 4 people, then $200/additional adult and $100/additional child.